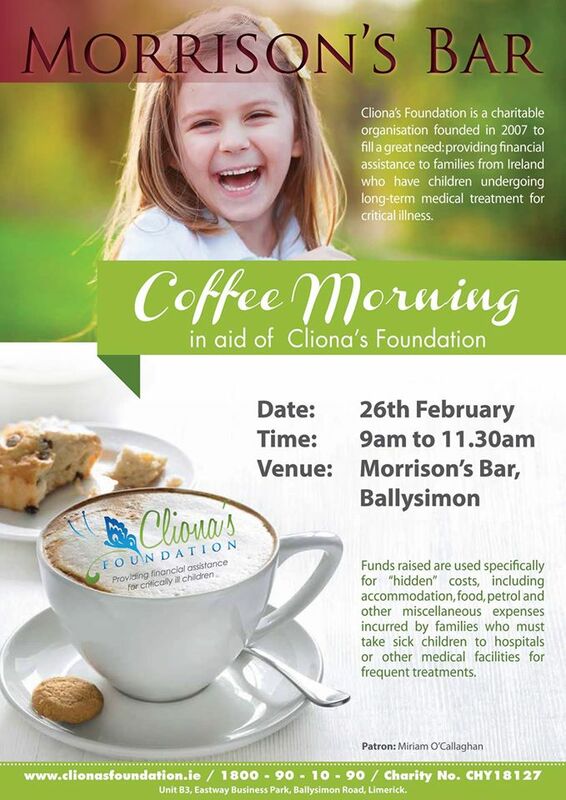 Please come along and support the Cliona’s Foundation Coffee Morning in Morrison’s Bar & Lounge this Thursday the 26th from 9 – 11.30am. We are really hoping to raise enough money on the day to be able to support another family who are currently waiting to receive funding. Thank you to Morrison’s Bar, Ballysimon, Limerick for very kindly hosting us.